Under cloud of controversy, UFA Chief Michael Jensen resigns. 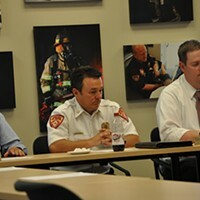 Former UFA Chief Michael Jensen (center) at a July 19 closed-session meeting. With accusations of misusing public funds and a pair of audits underway, Unified Fire Authority Chief Michael Jensen on Friday announced he intends to resign. Jensen is the third high-ranking UFA employee to step down since July of this year, when City Weekly launched an investigation into the organization’s finances. Jensen, who has been chief for seven years and has worked for the UFA in various capacities for two decades, said he loves everything about the organization that he helped build. Deputy Chief Gaylord Scott resigned in mid-July and Ryan Perry, clerk of the Unified Fire Service Area and a member of Jensen’s inner-circle, resigned on Wednesday, Aug. 10. With the top two UFA chiefs no longer at the helm, Eagle Mountain Mayor Christopher Pengra, who is acting as a spokesman for the UFA board, said UFA Assistant Chief Mike Watson will take over as interim chief. While few details were divulged behind the reasons for either Scott or Jensen's departures, UFA records show that a vacuum of accountability has permeated the top of the organization for years. For example, every couple of months, top brass at the Unified Fire Authority met to discuss how they were spending the public’s money. The image that this sentence might produce involves various fire chiefs and advisers gathered around a board table in a fire station, hammering out the details over bagels. And if the budget was of any concern, this would be correct. But UFA officials routinely held their budget meetings at steak houses, like Market Street Grill and the New Yorker. During one budget discussion at Market Street in June 2011, 10 Unified Fire officials spent a total of $261 on eight $21 prime rib dinners, a pair of $28 shrimp platters and a mess of Diet Cokes. Scott picked up the tab. A series of open records requests filed by City Weekly in recent months show that over the past five years, Scott, who cited health reasons for his departure, charged $110,440 to his UFA credit card, known as a P-Card, or purchase card. During that same period of time, the 22-year veteran at the fire department used a UFA gas card to pump $28,800 in gas into the company vehicle that he was allowed to take home. With his credit card and his gas card, Scott wildly outspent his boss, Jensen, who racked up $16,600 in gas expenses and $51,157 in credit card expenses. Credit card expenditures from both Jensen and Scott show that the two chiefs enjoyed extensive freedom in how they spent taxpayer money. Revelation of the credit card and gas card expenses have triggered an audit by State Auditor John Dougall. 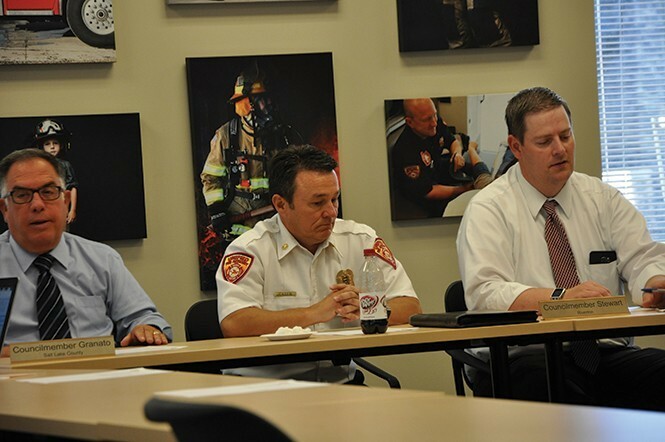 On Tuesday, Aug. 9, the Unified Fire Authority board, which is made up of elected leaders from the cities and towns that receive fire and emergency services from UFA, held an emergency meeting to discuss the pending audit. The board voted unanimously to convene an audit of its own. Pengra says the audit will attempt to shine a light on how UFA personnel have been using their credit cards, and identify whether taxpayer money has been misspent. The board’s now unanimous concern with how top managers at UFA have behaved with taxpayer money is in stark contrast to the confidence they publicly expressed for Jensen and other top officials just a couple of months ago. 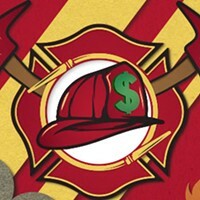 In March 2016, the board voted 10-2 in favor of a memorandum of understanding between the UFA and the UFSA, which is a member of UFA, but pays for fire services through tax assessments as opposed to a flat bill, that aimed to shore up and continue bonuses that Jensen, Scott, UFA legal counsel and the chief financial officer were receiving. By late 2015, few board members knew that Jensen and his trio of managers were set to receive $34,000 each in “incentives” that they claim they earned for extra work being done for the UFSA. These bonuses had been in place for years, starting small (under $5,000 a piece in 2005), then growing to $17,000 in 2012, $19,000 in 2013, $28,000 in 2014 and $34,000 in 2015. All of the bonuses were signed off on by the chair of the UFA board, but went unnoticed by the board as a whole. While a pair of mayors, Robert Dahle of Holladay and Kelvyn Cullimore of Cottonwood Heights, cried foul over the bonuses, the remainder of the UFA board voted in favor of the memorandum, which would shore up some transparency issues with how the extra money was being paid, but would pave a path to continue the bonuses. Dahle and Cullimore also said that the payments violated the employment contracts of Jensen and Scott, who were forbidden from taking side jobs without first notifying the board. An opinion in December 2015 from outside legal counsel confirmed that the payments constituted a violation of the employment contracts. But the board voted, again 10-2, against disciplining the men. The tone of the board, though, has abruptly flipped, in large part because it is apparent that there has been little, if any, oversight over how the chief and his close circle of advisers use UFA resources like automobiles, and how they wield their credit cards. In the case of gas card purchases, Jensen told City Weekly in July that a battalion chief in the logistics department is charged with overseeing how gas cards are used. But that battalion chief, Steve Judkins, said that while he watches for anomalies like possible theft, if the chiefs say their gas cards are safe, his questions cease. Gas cards, though, are only so interesting. While Scott racked up massive gas bills, which Jensen said at the time could be partly attributed to Scott hauling his children to and fro from a charter school in American Fork, Scott and Jensen were permitted to use their credit cards for an array of purchases. And in addition to the credit cards used by Scott and Jensen, another 133 purchase cards are in use by UFA officials. Among the more unusual buys made by Scott was a pair of long guns, a .30/30. and a .22 caliber rifle. Both were special, limited-edition weapons manufactured by Historical Armory in Fort Collins, Colo. The price for the guns: $2,335. While Scott and Jensen attended an array of firefighter conferences across the country over the past five years, Scott appeared to stay out of town much longer than his boss. In July 2011, Scott spent five nights in a San Francisco hotel, spending $1,496. In early September, he flew to Atlanta, where taxpayers spent $2,053 on the deputy chief’s room a seven-night stay and $584 for his rental car. Book-ended between the Atlanta trip and another to New York City later in the month for six nights, Scott spent $337 at Carvers Steak & Seafood, $178 at PF Chang’s, $91 at Spaghetti Mama’s, $193 at Tucanos Brazilian Grill and $90 at Desert Edge Brewery. In August 2012, Scott drove his UFA vehicle to a conference in Denver. After staying there for six nights and racking up a $1,600 hotel bill, the drive home was apparently too much to make in one day. Receipts from Scott’s UFA credit card show that he laid over at the Little America Hotel near Rock Springs, Wyo., spending $86 on a hotel room. With the exception of this trip to Denver, Scott and Jensen nearly always flew to various conventions across the county. But in December 2014, both Jensen and Scott drove their UFA vehicles to a convention in Anaheim, Calif. Gas records show that while there, both men filled their tanks using a UFA gas card, along with various stops along Interstate 15, like Mesquite, Nev. and St. George. While in Anaheim, Jensen billed to taxpayers $614 in hotel charges at a Marriott, and another $1,305 at a Hilton. Scott stayed five nights at a Marriott for a total of $907. Neither Jensen nor Scott returned calls seeking comment for this story, and there is no explanation in any of the purchasing documents for why each of them traveled to Anaheim in their UFA vehicles. While the credit card invoices show that Scott had a penchant for steak dinners, the man also appears to have developed a love for Apple products. In November 2012, Scott spent $659 on Apple hard drives, and a few days later, shelled out $334 for other assorted products. On Oct. 20, 2014, Scott spent $248 at an Apple Store. Ten days later, he purchased a phone charger at Best Buy, and the following day spent another $482 at an Apple Store. The next month, he again visited an Apple Store, this time spending $185. When the Apple Watch hit shelves in 2015, Scott turned up the heat. Starting in January of that year, he spent $124 on Apple gear, and in March dropped $180 at a Best Buy on iPhone and iPad supplies. In April, he bought $370 at an Apple Store and in June, he purchased two Apple Watches for $2,455. In July, he spent $4,824 on a pair of Apple computers, assorted cases, four Apple Watch charging cables and a 16 gigabyte hard drive. Pengra declined to discuss specific expenditures, though he did say that the board’s worries over how P-Cards and gas cards were handled, prompted the audit. He and other members of the board have emphasized that lost in the recent controversy is the fact that the state's largest firefighting entity continues to do its job, regardless of who is sitting atop the heap. 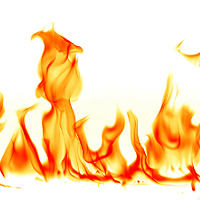 State auditor releases findings on Unified Fire Authority mishandlings. Amid allegation of questionable bonuses, UFA Deputy Chief steps down. Unified Fire Authority chief feels heat from escalating bonuses.